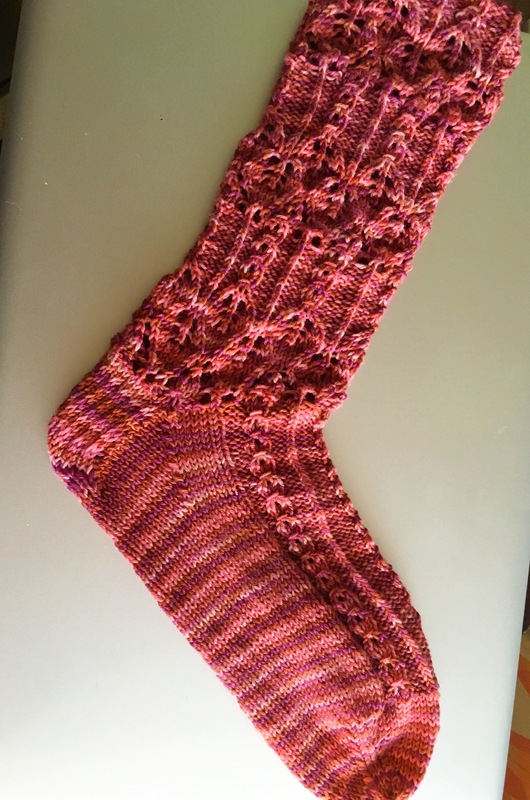 This is sock #1 of a pair that is to be a late birthday gift. I got distracted last week with a new project! But, today I picked this up and sewed up the toe and weaved in the ends. Now I’m going to cast on it’s partner. I want to be able to give the gift before the month is over, I can do that right?! Of course!